On 10 May 2016 Koen Zuurbier was awarded his doctorate by TU Delft for his research into the temporary subsurface storage of surplus fresh water for subsequent recovery during a drought. 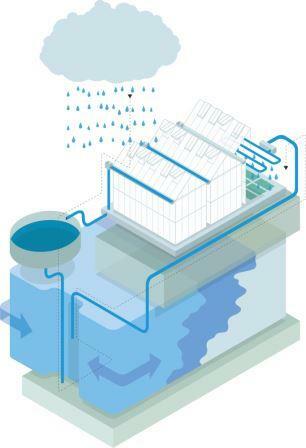 This technique contributes towards a sustainable freshwater supply and is known internationally as Aquifer Storage and Recovery or ‘ASR’. In the Netherlands as well as in other coastal zones, ASR yields are often disappointing because the lighter freshwater “floats” in the more brackish groundwater. In his research, Zuurbier has shown that it is possible and how it is possible to largely recover freshwater using ASR in such brackish coastal zones, where the reuse of freshwater is very much needed. Selecting the correct locations, improved well designs and understanding the change in water quality during subsurface storage play major roles in this. Amongst other things, Zuurbier has acquired the understanding needed for this during long-term field trials in Nootdorp, Westland en Ovezande. In the predominantly brackish to saltwater substratum of the low-lying Netherlands, as well as in many coastal zones elsewhere, the yields from freshwater stored using ASR are often disappointing. This is primarily due to the “floating” of the lighter freshwater in the more brackish groundwater. Despite frantic attempts, ASR has not therefore provided any consolation for a long time in coastal zones, while the demand for freshwater has specifically increased in those zones. Within the framework of the Kennis voor Klimaat, and the Joint Research (BTO) programmes and the EU’s DESSIN and SUBSOL bij KWR projects, Zuurbier therefore conducted research into improving the yield of ASR. 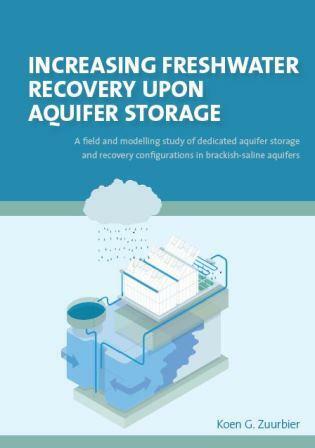 Zuurbier’s research demonstrates that after storage, freshwater can be recovered in substantial quantities from zones with a brackish-salty substratum. In his dissertation he describes how, first and foremost, the best locations for using ASR have to be analysed in order to avoid using the technique in unsuitable zones. The added value of improved well designs is then demonstrated. The insight required for this was acquired during long-term field trials in less suitable zones (Nootdorp, Westland and Ovezande), where ASR was developed further with horticulturalists and system installers. Finally, the change in water quality during storage in the substratum and the risk from nearby drilling were examined critically. Zuurbier’s findings show that the brackish-salty substratum in coastal zones does offer substantial opportunities for the successful temporary storage and recovery of surplus freshwater. This is thanks to improved analysis techniques and GIS, innovative well technology, ICT and groundwater models; developments during the recent decades that have been combined in this research. Specifically now that water shortage is becoming increasingly acute in our productive coastal zones, this research will allow ASR to be used as an effective measure for a climate-proof freshwater supply. Read more about this in his dissertation.